The film series Fantastic Beasts is a J K Rowling-authored spin-off from Harry Potter. The second instalment, The Crimes of Grindelwald, premieres in the UK later this year, when no doubt it will be much enjoyed by . . . well, by those who enjoy that sort of thing. Rowling, who has written the screenplay, has a history of using Twitter to accuse others of sexism and racism. Typical was her recent indictment on these charges of Australian newspaper cartoonist Mark Knight for his entirely reasonable caricature of Serena Williams throwing her toddler-tantrum during the final of the US Open tennis championship. Rowling also objected to the same cartoon relegating Williams’s opponent Naomi Osaka to a ‘faceless prop’, even though the artist was very effectively making the salient point that Serena’s brattish outburst had completely overshadowed the tournament winner’s achievement. Another example, from a few weeks earlier, was her casual insinuation that for having presented a report on land expropriation in South Africa, which elicited a Trump tweet, Fox News host Tucker Carlson is a racist. 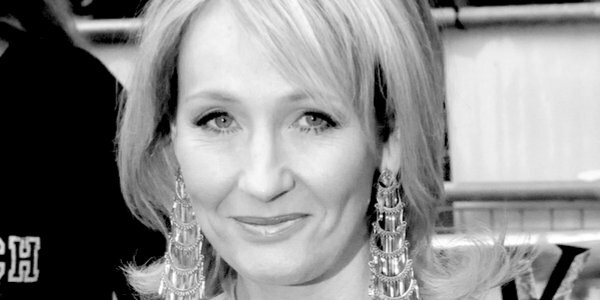 For having delivered these and other sanctimonious censures, there is considerable schadenfreude that her forthcoming blockbuster has landed Rowling herself in the Twitter dock, accused of sexist and racist characterisation and casting. The Crimes of Grindelwald casts Korean Claudia Kim as a Maledictus, ‘a person born with a blood curse that destines them to turn permanently into a beast’. Kim plays the character of Nagini, which Rowling based upon ‘The Naga . . . snake-like mythical creatures of Indonesian mythology’. The hitherto secret casting of the Korean actress as a character who – spoiler alert – turns into a snake and ultimately is beheaded, is reported to have ‘unsettled some fans who branded the casting racially insensitive as Nagini is a cursed woman who is submissive to a man’. A cursed woman who is submissive to a man? Sounds like she’s a member of the shadow cabinet. At least no one has yet described Claudia Kim’s character as a ‘faceless prop’. Amusing though it is that J K Rowling should experience a little blowback, in this instance there seems no case for her to answer. The outraged Twittersphere should remind itself that Nagini is but a figment of Rowling’s imagination. The Maledictuses, ‘carriers of a blood curse that eventually turns them into beasts’, are also entirely fictional – even if they do sound remarkably similar to the more extreme members of Momentum.